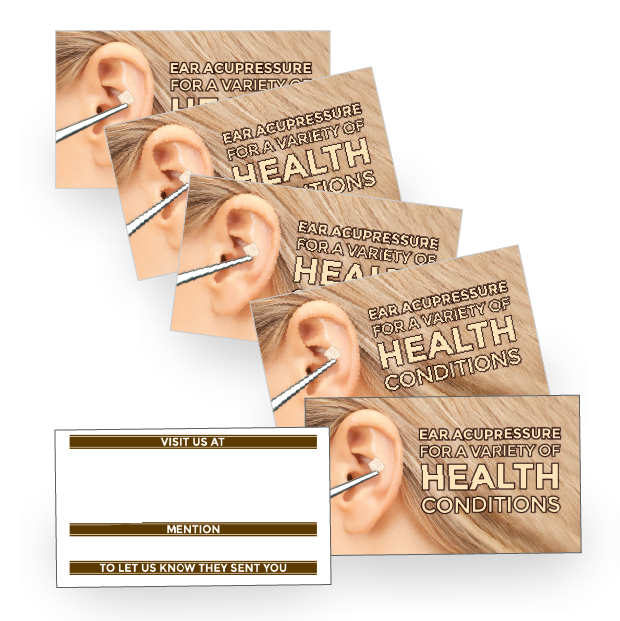 Patient Referral Cards – Vacarria Style – 25/50/100 pcs. 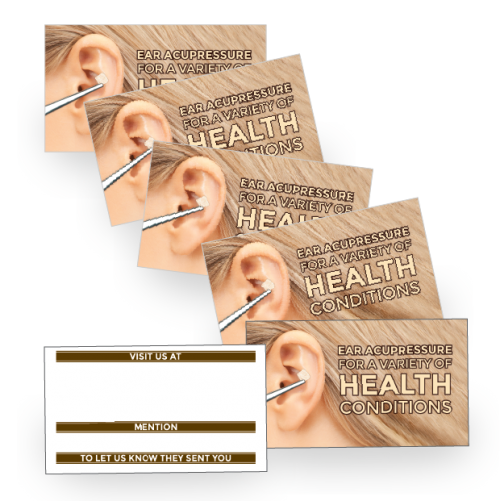 Home / Practitioner Products / Patient Referral Cards – Vacarria Style – 25/50/100 pcs. 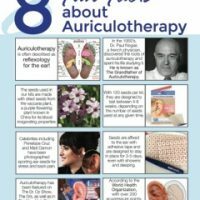 Ear Seeds are trending. They’re showing up on social media… on celebrities… People are talking about them and YOU’RE the place they can go to get them! These elegant and simple cards are designed to help you take advantage of the conversations that are happening all around you! Sold in quantities of 25, save when you buy more! 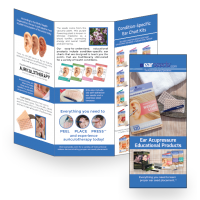 Patient Education Trifolds – 20/40/60 pcs. 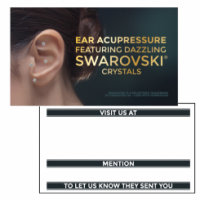 Patient Referral Cards – Swarovski Style – 25/50/100 pcs.